Jerome L. Myers was born and raised in Brooklyn, New York. He received his B.A. from Syracuse University in 1953 and his Ph.D. from the University of Wisconsin in 1957. After graduate school, he joined the faculty at the University of Massachusetts where he spent his entire, distinguished career. Jerry was the driving force that led to the development of the cognitive program at the University of Massachusetts. He actively lobbied the department for faculty positions and then recruited many other top cognitive psychologists to the positions. During the formative years of the cognitive program, Jerry was instrumental in its development and growth: He served as the chair of the cognitive area, director of the graduate program, Director of an NIH cognitive training grant, and chair of the department. Jerry’s early research interests were in probability learning, a natural choice given his research training, his strengths in methodology, and his quantitative interests. When the field of cognitive psychology began to emerge, Jerry’s research shifted to basic questions concerning memory retrieval. Always grounded in issues of memory representation, Jerry’s research examined memory search processes, semantic and episodic priming mechanisms, and the role of integration of encoded information on subsequent retrieval. In the mid 1980s, Jerry’s research shifted to issues related to comprehension, representation, and retrieval processes during reading. His commitment to gaining a deep understanding of these foundational processes of comprehension has had an enormous influence on the development of models of discourse comprehension. 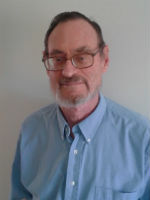 Along with his substantive program of research, Jerry also maintained active research interests in experimental design and statistical analysis. He has published numerous papers testing and expanding on basic statistical assumptions. He authored one of the premier graduate textbooks in research design and statistics: He wrote three editions of Fundamentals of Experimental Design, and was the lead author on three editions of Experimental Design and Statistical Analysis. In addition, he served as the editor of the quantitative section of the Psychological Bulletin. Finally, Jerry was an extraordinarily dedicated teacher who inspired many graduate and undergraduate students with his passion for scholarship. He taught statistics to several generations of University of Massachusetts graduate students, many of whom have gone on to teach graduate-level statistics. Jerry still resides in the Amherst area with his wife, Nancy, an eminent developmental psychologist who also spent her career in the Psychology department at the University of Massachusetts. * The FABBS Foundation would like to thank Drs. Edward J. O’Brien, Robert F. Lorch, Jr., Keith Millis, and Arthur C. Graesser for nominating Dr. Myers for this honor and for leading the effort to spread the word about his nomination. Would you like to honor Dr. Myers? It’s not too late to have your name added to the list of donors! You can make your donation to Dr. Myers’ In Honor Of… campaign at anytime.